Your donation will help support the Boston Sea Rovers, an all-volunteer non-profit organization, in their mission to promote Education, Exploration, and Conservation of the Underwater World. Donations of $250 or more qualify you as a Solid Brass Sponsor. 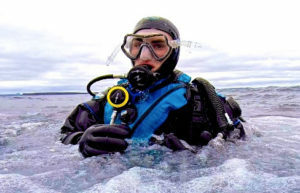 All donations are used to support the all-volunteer non-profit Boston Sea Rovers in their mission to raise public awareness of the underwater world.